Ireland looks set to pass a landmark bill prohibiting the importation and sale of goods and services from illegal Israeli settlements, potentially setting a new precedent within the EU. The Control of Economic Activities (Occupied Territories) Bill 2018 seeks to prohibit the import and sale of goods, services and natural resources originating in illegal settlements in occupied territories. The proposed legislation has been slammed as “immoral” by Israel’s Mission in Dublin. The Irish Senate (Seanad) votes on the bill, tabled by Independent Senator Frances Black, on July 11. Fianna Fail – the second-largest party in the Irish parliament, confirmed its support for the bill last week, raising hopes that it will pass. If the Seanad approves the bill it would then be passed to the lower house of the Irish parliament for a debate and vote where, if successful, it would face several stages of review and amendment before being signed into law. Ireland’s Foreign Minister Simon Coveney opposes the bill, arguing that as a member of the EU Ireland has to accept the EU’s trade policies. Black has refuted this, pointing out that individual EU governments may take actions outside the scope of EU trade policy to address international law violations. 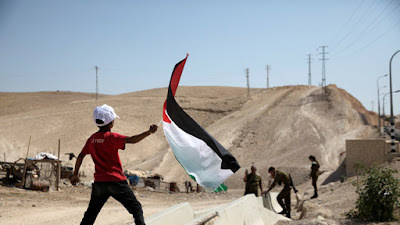 Israeli settlements in both the occupied West Bank and the Golan Heights are illegal and constitute a war crime under both the Rome Statute of the International Criminal Court and International Humanitarian Law (IHL). Last week Coveney condemned the demolitions and forced evictions of the Palestinian community in the West Bank villages of Abu Nuwar and Khan al Ahmar, saying he raised the “reprehensible” actions with Israeli representatives. The bill was originally put forward in January but voting was postponed following sharp criticism from Israeli Prime Minister Benjamin Netanyahu. The proposed legislation would make it an offense “for a person to import or attempt to import settlement goods” as well as assisting in this process, with violations punishable by up to five years in prison. Ireland has long been a vocal supporter of the Palestinian cause. The country’s official policy is to work towards the establishment of an independent Palestinian state. “It is really important for Ireland to lead on this. Hopefully other countries will follow suit and do the same,” Black said.